Check out this lovely penthouse level condo! Well maintained and cared for. This floor plan lives large with 2 bedrooms and 2 full bathrooms! Modern neutral color scheme can coordinate with any furniture or decor, and vaulted ceilings create a spacious and open feeling. Relax on the covered balcony, and enjoy the beautiful Colorado weather! Quiet interior location, in a safe community with great amenities! Direct access to the Cherry Creek path, just behind the condo. 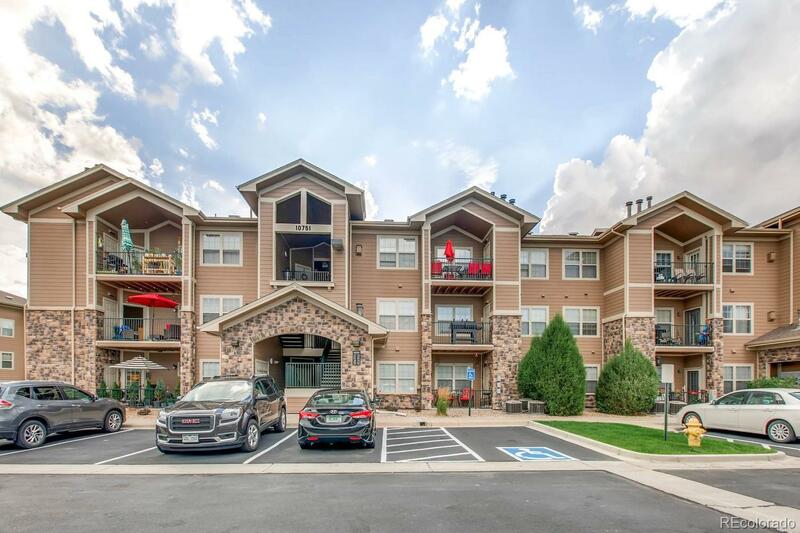 Near downtown Parker, movies, restaurants, shopping, parks, and more. HOA includes access to the clubhouse, workout room and swimming pool/hot tub! This is a great place to call home. MUST SEE!